The scope of the crackdown is getting wider and wider, and this purge of “unpatriotic” language reminds some observers of the Cultural Revolution. The examples are many. 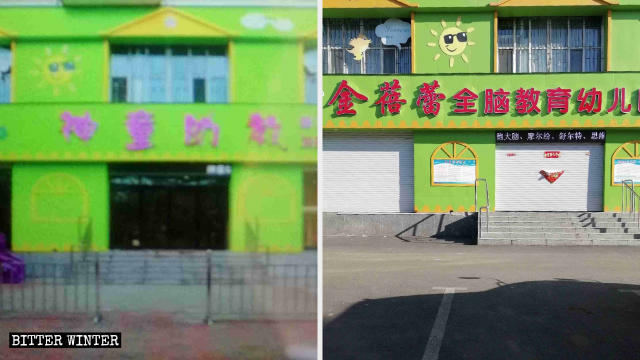 The word tianci has been removed from the signboard of Tianci Kindergarten. “The word tianci pertains to religious belief,” said one local government official. “Having this word hanging on the kindergarten’s signboard makes it easy for children to become indoctrinated with faith.” He ordered the kindergarten’s director to remove it or face closure. 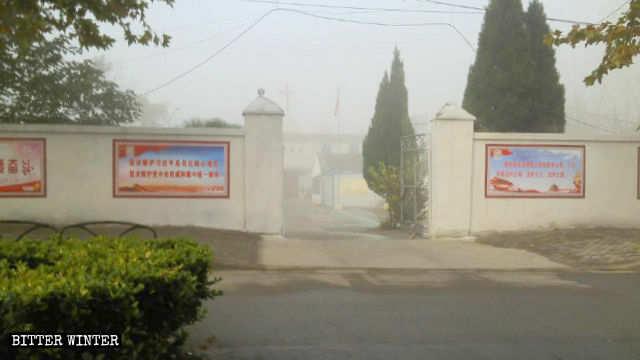 The Party’s political slogans posted on either side of the entrance to a church in Huaibei city. A few months later, the church’s leader put up the words “ai guo ai jiao, rong Shen yi ren” (“Love Your Country, Love Your Religion; Honor God and Benefit the People”) by the entrance. He thought this would comply with the Three-Self Patriotic Movement’s requirement of “loving the country comes before loving religion.” However, it seems that phrases like “love your religion” and “honor God” were unacceptable. 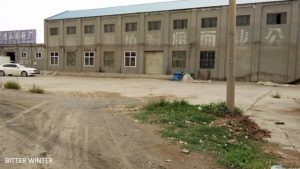 Five Three-Self churches in Guichi district in Anhui’s Chizhou city received similar treatment. In late October 2018, authorities removed signs reading “True Jesus Church,” “Gospel Hall,” and “Gratitude Hall” from the entrances of these buildings. 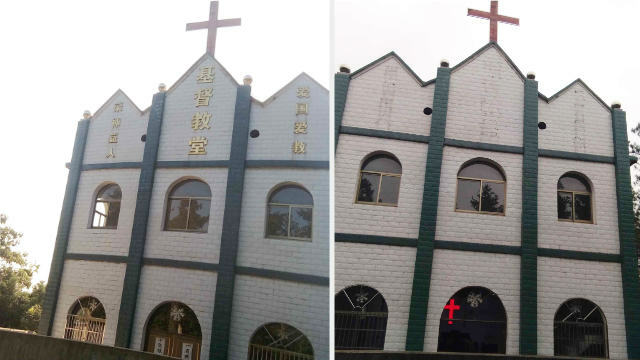 Religious words have been removed from this church in Chizhou city. The crackdown on the signboards of shops selling traditional Buddhist supplies is still ongoing. 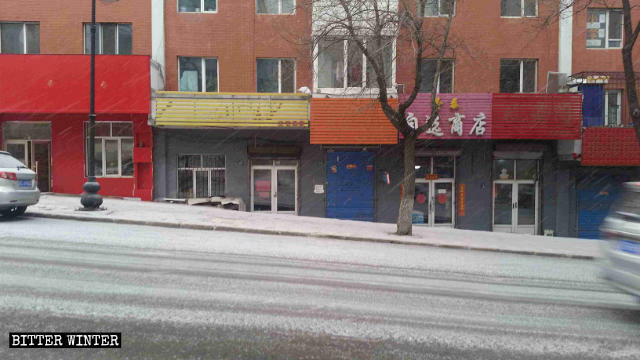 Vibrant Colors Hall Buddhist Craft Shop, located in Heilongjiang’s Muling city, is more than 20 years old and has been registered with the Bureau for Industry and Commerce for many years. 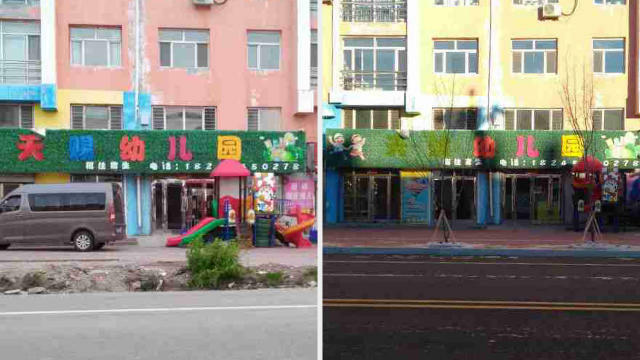 In December, local government officials ordered the owner to remove the character Fo, meaning “Buddha” or “Buddhist,” from the store’s sign because the word has religious connotations. 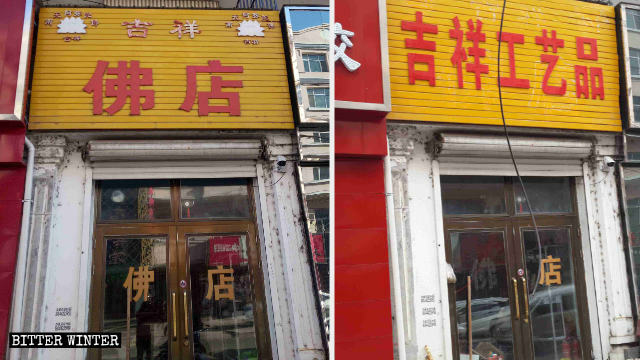 The shop owner, who is in her seventies, had to spend her own money to hire a worker to remove the character. The character Fo has been removed from the signboard and the door of Vibrant Colors Hall Buddhist Craft Shop. “Since the Fo character was removed, a lot of customers cannot find my store. Business has been severely affected,” the shop owner said. 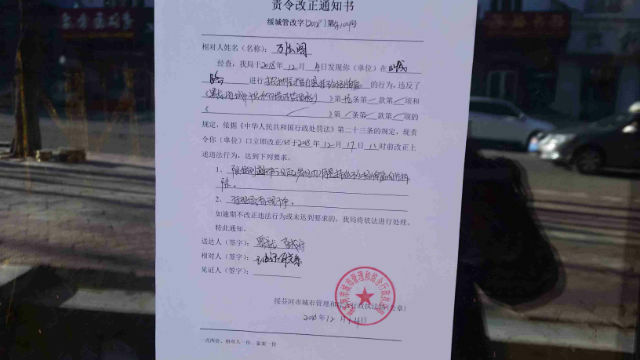 The local Religious Affairs Bureau also ordered the Fo character to be removed from Shanyuan Hall and the Auspicious Buddhist Supply Shop in Muling city. 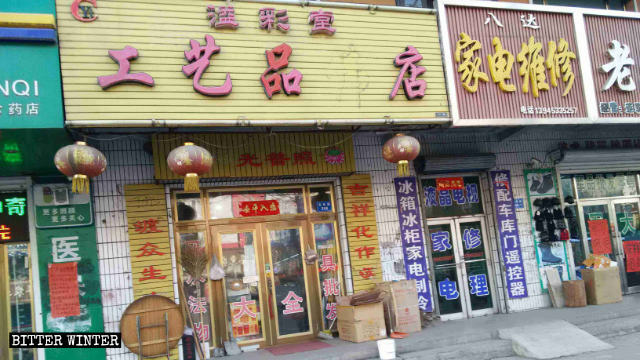 The owner of Auspicious Buddha spent 400 RMB (around $60) to change the store’s name to Auspicious Handicrafts Shop. Auspicious Buddhist Supply Shop has changed its name to Auspicious Handicrafts Shop; the character Fo has been removed from its door. “They [the government] said that the Fo character on our signboard had religious overtones and must be removed. They said that this was an order issued by the central authorities, and everyone must act accordingly,” said the owner of another Buddhist shop, who wished to remain anonymous. Characters have been removed from local Buddhist supply stores’ signboards. At least eight Buddhist supply stores in the city had to remove words from their signboards. Some have suffered nearly 10,000 RMB (around $1,500) in losses as a result. “Our store has been doing business for years, and we have a legal business license. The government is intentionally finding fault with us,” one shop owner complained. Some religious people think this removal of faith-related words is much more than a matter of characters on signs. Instead, it is an ideological struggle. The authorities are seeking to purge all symbols and logos related to religion to ensure that their atheist communist ideology reigns supreme.